"QPT2E - Praia da Oura"
This is one of five attractive two bedroom apartments available on the Qta Pedra Dos Bicos complex. 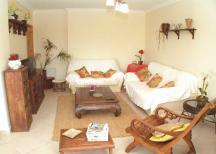 It is located in a quiet area overlooking the Praia Da Oura beach. The apartment has access to a large communal pool with a seperate childrens section just a few metres from the apartment block; and you are only a short walk from the golden sands of Praia Da Oura. 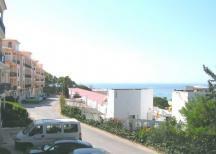 Praia Da Oura is famous for the "strip", one long street with a wide selection of restaurants, bars & nightclubs. This makes Praia Da Oura suitable for all types of holidays, whether you are looking for a peaceful break on a golden beach or nightclubs till dawn! 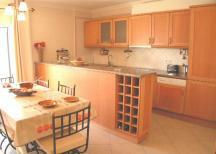 apartment - holiday rental.Rental Agent. 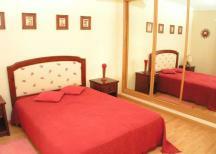 the nearest Golf Course to the apartment is:"Balaia"
Please quote reference:TF: 57 apartment "QPT2E - Praia da Oura"